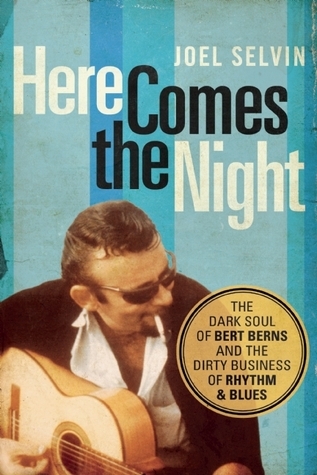 Here Comes the Night is both a definitive account of the golden age of rhythm and blues of the early ’60s and the harrowing, ultimately tragic story of songwriter and record producer Bert Berns, whose meteoric career was fueled by his pending doom. His heart damaged by rheumatic fever as a youth, Berns was not expected to live to see 21. Although his name is little remembered today, Berns worked alongside all the greats of the era—Jerry Leiber and Mike Stoller, Ahmet Ertegun and Jerry Wexler, Burt Bacharach, Phil Spector, Gerry Goffin and Carole King, anyone who was anyone in New York rhythm and blues. In seven quick years, he went from nobody to the top of the pops—producer of monumental r&b classics, songwriter of “Twist and Shout,” “My Girl Sloopy,” “Piece of My Heart,” and others. His fury to succeed led Berns to use his Mafia associations to muscle Atlantic Records out of their partnership and intimidate new talents like Neil Diamond and Van Morrison, whom he had signed to his record label. Berns died at age 38 from a long-expected heart attack, just when he was seeing his grandest plans and life’s ambitions frustrated and foiled. This book is more than a book about a song writer, producer and singer. It is also about the history of R&B and from mostly Atlantic Records. I had never heard the name Bert Berns, but I had heard the song titles, “Twist & Shout”, “My Girl Sloopy”, “Piece of my Heart”, “Baby I’m Yours”, Everybody needs somebody to love”, “25 miles”, and produced “Brown eyed girl” by Van Morrison. Also produced Neil Diamond. When he first started working at Atlantic he was working with Ruth Brown and Big Joe Turner. He then started working with Wilson Pickett and Patti LaBelle & the Bluebells, along with other artists. This was also the time he began working with the Isley Bros. the book also takes you behind the group the Drifters and how that manger forced them into a working contract. I now know why many of those guys left once their contract was up. And you find out about a writing time by the name of Leiber & Stroller. But like everything else that happen at Atlantic records once they lost Ray Charles, they could not keep up with the bigger record companies. Wexler who at this point was running the show by now was losing just about everyone. Berns leaves and this is where he finds Diamond and a band from Belfast named “THEM”, this is when Berns heard Morrison and knew their contract was up with Decca. And produces his first record. By this time Berns is also running the streets of New York, with Pasty Pagano and Tommy Eboli, both part of the Genovese family. Let’s just say that he has no problem collecting money owed to him. Berns passes away in 67 asleep in his apartment and some people say R&B died with him. Don’t know but I do know the music was changing and he would have been right there. He had also work on some Cuban records so he was really a forward thinker when it came to music. Here is something to think about in 7 years he had 51 chart singles and 19 in 1964 the year of the British invasion. A very good book. I got this book from net galley.